In a sharp remark on Pakistan for hanging fire on the trial, which has been going on since 2009, the MEA said the plotters of the attack were roaming the streets with impunity. 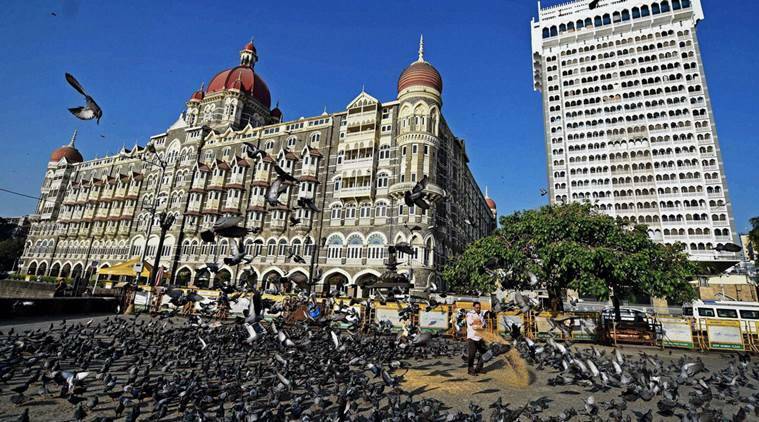 As India marked the 10th anniversary of the 26/11 carnage on Monday, the Ministry of External Affairs called on Pakistan to shed its double standards and show sincerity in bringing perpetrators of the attack to justice. In a sharp remark on Pakistan for hanging fire on the trial, which has been going on since 2009, the MEA stated the plotters of the attack were roaming the streets with impunity. “It’s a matter of deep anguish that even after 10 years of this heinous terror attack, families of 166 victims from 15 countries still await closure, with Pakistan showing little sincerity in bringing perpetrators to justice,” the MEA said the statement. The MEA also reiterated that the attack, where 10 Lashkar-e-Toiba terrorists unleashed a wave of violence in Mumbai in 2008, was planned, executed and launched from Pakistan territory. “Planners of 26/11 still roam streets of Pakistan with impunity. We once again call on Govt of Pakistan to give up double standards & expeditiously bring perpetrators of the horrific attack to justice,” it said. Seven Lashkar-e-Toiba suspects — Zaki-ur Rehman Lakhvi, Abdul Wajid, Mazhar Iqbal, Hamad Amin Sadiq, Shahid Jamil Riaz, Jamil Ahmed and Younis Anjum — are facing charges of planning and executing the attack. However, Lakhvi, the alleged mastermind of the attack, is presently out on bail and was even seen carrying out charity work on behalf of LeT this year. The trial has witnessed bizarre twists and turns like frequent change of judges and murder of a prosecutor. While nine of the attackers were killed by security forces, Ajmal Kasab – the lone terrorist to be captured alive by the Mumbai police – was hanged after he was handed the death sentence by a court. The MEA also thanked the US for pressuring Pakistan to uphold their UN Security Council obligations to implement sanctions against the terrorists behind the dastardly act. “We welcome statement issued today by the United States calling on Pakistan to uphold their UN Security Council obligations to implement sanctions against terrorists responsible for 26/11 Mumbai terror attacks, including Lashkar-e-Taiba and its affiliates,” it said. The US on Monday announced a $5 million reward for information leading to the arrest or conviction in any country of any individual who committed, conspired, aided or abetted the 2008 Mumbai attack.